You don't have to be an industry guru to know that the Sony Alpha a7R full frame mirrorless camera is disruptive technology. The feat of bringing large sensor photography to a diminutive camera is impressive. Now that the a7 and a7R are available, where do we go from here? Do we sell all of our existing gear and jump on the bandwagon? Do all enthusiast photographers really need a full frame camera? I've recently read two excellent articles that help put this disruption into perspective. "But Full Frame has now become a moving target, and Sony has just seriously moved the goal posts - to mix a couple of metaphors. Up until the release of the Sony A7 and A7r in late 2013 it would have been safe to say, or write, that the compromise for Full Frame's higher resolution was larger, bulkier bodies and also larger, heavier lenses. But the new Sonys knock that postulate into a cocked hat. These cameras are in fact as small and as light as some MFT cameras, let alone APS-C models." Michael manages to put the Sony a7R in perspective while still acknowledging the excellence of other top cameras in the APS-C and Micro Four Thirds format. It's a good piece and worth the time to read it. I also liked Roger Cicala's A Bit of A7R Sanity. He states, "The camera does some things very well at an excellent price. That will be enough to assure some people will learn how to work around those limitations. In another month or two the screaming will die down and some people will be using the camera regularly and making superb images with it. Because it's fully capable of making superb images. It's never going to work for action photography. It may (or may not) be a great walk around camera. But it will do certain things better than any camera out there at a price that's going to attract a lot of attention." Roger is very practical in his evaluation of the a7's potential impact on the industry. And both his post and the essay by Michael Reichmann helped me sort out this situation in my head. I'm one of those guys who doesn't need to shoot full frame all of the time. And when I do, I have my Canon and its arsenal of lenses. The rest of the time, I'm fine with APS-C and Micro Four Thirds sensors. So I don't need to start saving for the Sony a7R. But your situation may be different. And reading these two articles will hopefully help you sort things out. PS: the proper labeling of the camera is: Sony a7R. This Sony a7R has a high Nimbleosity Rating. What does that mean? You can learn about Nimbleosity and more by visiting TheNimblePhotographer.com. The engineers at Flickr have been busy elves this season, and one of their latest goodies is the overhauled "embed" option for your photos. This is part of the new "photo experience" that's in beta. Unfortunately, for some sites, such as my Movabletype blog, it doesn't work. To get to this option while viewing your photo (in the new experience), click on the Share icon, then click on the Embed graphic. You'll be presented with a variety of sizes as shown above. Flickr cites in their blog post on the topic, "your photos and videos are displayed with their full title and your Flickr name, embed feature is only available for publicly shared photos, and embeds are contextual and interactive." My advice is to sit tight for a bit and let them work out the bugs in the new code. In the meantime, you can opt-out of the new experience and use the old embed code. The folks at Tap tap tap have just released Camera+ 5 for the iPhone ($1.99) with plenty of updates, including The Lab. Not only is Camera+ a terrific app for capturing images with your iPhone (or iPad), but The Lab adds some dynamite features worthy of your attention. I just gave the app a run-through from start to finish for this image of my Lowepro Urban Reporter 150 that I posted on Instagram. When capturing the image, I took advantage of Camera+ controls such as image stabilization and self timer (I was holding a reflector in my other hand). In The Lab, I added a bit of Clarity, recovered some highlights, and used just a bit of vignette to draw the eye to the center of the frame. 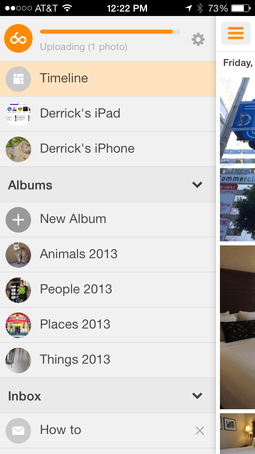 Capture, processing, and sharing all accomplished on the iPhone 5S. If you're looking for a new camera app to help you expand your iPhone photography, I would certainly consider this latest version of Camera+. For existing users, the upgrade is free. We knew it was coming; just not sure when. Digital Camera RAW Compatibility Update 5.02 adds Raw processing for five cameras - all of them important: Nikon D5300, Nikon Df, Olympus OM-D E-M1, Sony Alpha 7, and Sony Alpha 7R. My approach while waiting for such updates is to shoot Raw+Jpeg with a new camera. I upload both to Aperture, and work with the Jpegs until the new Raw processing is available. I keep the two formats in separate albums. Until the Raw processing is available, my thumbnails for the unsupported files look like this. Once the update is applied, I go to the Adjustments tab in the Inspector, and click on any thumbnail. 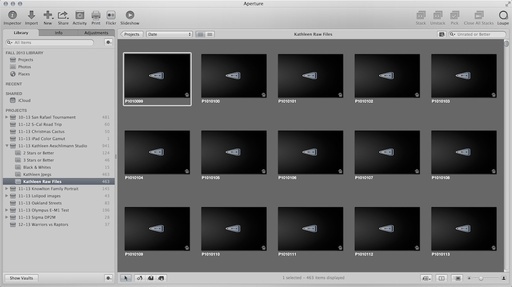 Aperture will process the file and present me with an image. I can use the right and left arrow keys to move through the images quickly and display the updates. As for the Raw processing itself, it seemed very good for my OM-D E-M1 files. Initial previews looked spot on, highlight and shadow recovery was smooth, color was pleasing, and all controls behaved as I would anticipate. If you're a Mac OS X Mavericks user, the update should be applied automatically. If not, you can download it here. This week on The Digital Story photography podcast: Lightroom 5.3 Goodies, especially for those with new cameras; Nimbleosity Report - Automated Backup of Your Mobile Photos with Loom; Photo Help Desk: Car Windshield Shade Portrait Reflector - All of this and more on today's show with Derrick Story. Plus lots and lots of bug fixes. I talk about this substantial update in today's top story. 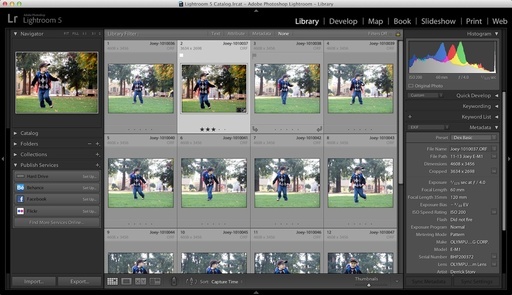 (More information about the Lightroom 5.3 release is here). 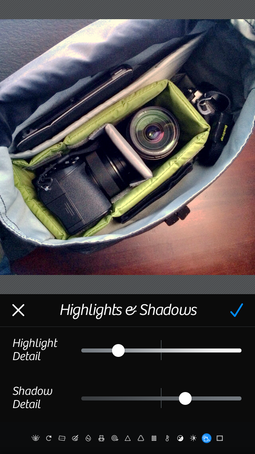 Story #2 - On the Nimbleosity Report - Automated Backup of Your Mobile Photos with Loom. Now that Everpix is just a fond memory, I needed to find a robust backup solution for my iPhone and iPad pictures. I've been testing Loom, and I think it has potential. 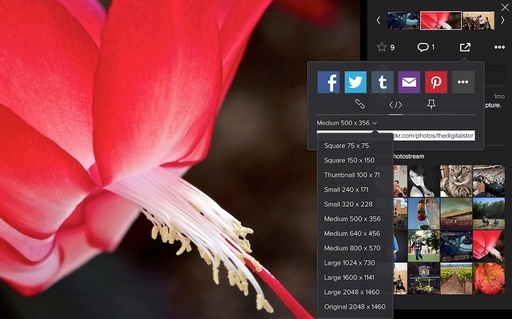 One of Loom's most appealing features is the ability to create albums and move pictures into them. This really helps with organization. You can even create nested albums, but the procedure gets a bit more tricky doing this. The Mac and iOS apps seem solid, you get 5GBs of storage for free, and you can increase your allotment to 50GBs for $3.99 a month or 250GBs for $9.99 a month. If you pay yearly, you can save: $39.99 and $99.99 respectively. I think it's important to begin 2014 with a solid mobile backup solution, and I discuss the potential with Loom in the second segment. 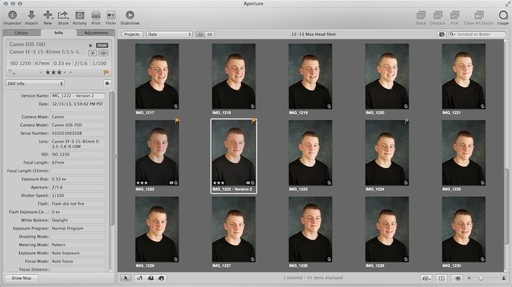 Story #3 - From the Photo Help Desk: Car Windshield Shade Portrait Reflector. We might not always have our disc reflectors on us, but chances are you have a windshield shade in your car. 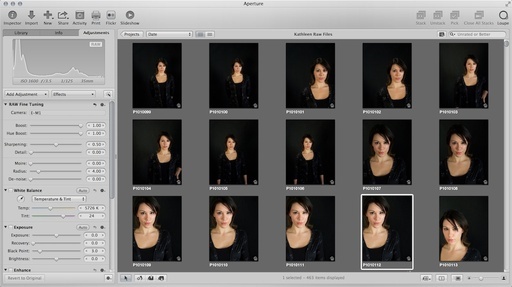 Here's how it can save the day for a portrait shoot. 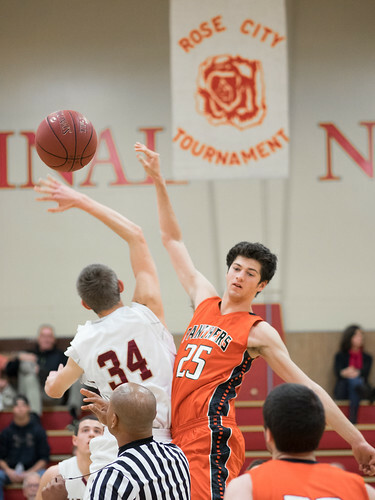 My appreciation of the new Olympus OM-D E-M1 increased over the last three days while shooting a high school basketball tournament. I relied on the fast 75mm f/1.8 lens for the bulk of the action, and I have to say, I very much enjoyed this tandem. Speaking of Raw, the E-M1 did not bog down at all while shooting burst mode, even when I was capturing in Raw+Jpeg. This is one of its big improvements over its sibling, the E-M5. The fast processing combined with the swift autofocus makes the E-M1 the best micro four thirds camera, that I've shot with, for sporting events. The lightness of my kit was also a big factor. I used the Lowepro Urban Reporter 150 all three days of the tournament. I was able to keep the bag on my shoulder the entire time. Not once did I feel tired or experience the need to set the bag down. We've known for some time that micro four thirds cameras and lenses are good for travel and street photography. But this latest iteration of the OM-D is a serious action camera too. Olympus Raw shooters have a new goodie under the Christmas tree: camera color profiles. I saw this note on DP Review and tested it myself. We're no longer limited to the standard Adobe color profiles for our Raw processing. You can find the profiles under Camera Calibration in the Develop module. Cycling through them provides you with different interpretations of the image. Choose the one you like best as a starting point, then finish off the photo with your favorite editing tools. 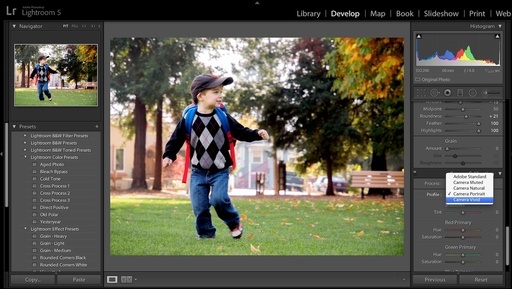 Adobe officially released Lightroom 5.3 that includes Raw processing for 20 new cameras. This is great news for Olympus OM-D E-M1 owners who haven't had many options for processing their .ORF files. I did some testing this morning with Raw files from the E-M1 in Lightroom 5.3. The default profile by Adobe is comparable to the previews presented by Olympus Viewer 2. Editing tasks, such as recovering highlights and shadows also went well. I do note that highlight recovery didn't seem as smooth (graduated) as with some of my other cameras, such as .CR2 files from Canon. In some ways, it felt more like trying to recover highlights from a Jpeg than a Raw file. This could have been just my eyes today (not enough coffee? ), and I'm going to continue to test highlight recovery with OM-D E-M1 files. I will post an update if I discover something new. 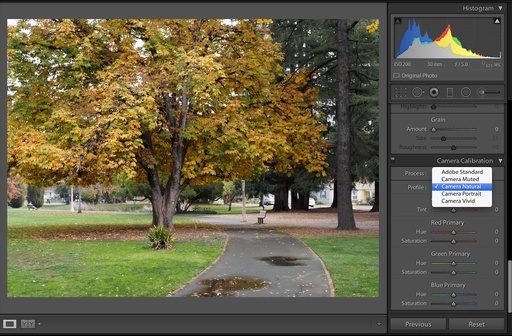 Other areas, such as color and sharpness, responded well to the editing tools in Lightroom 5.3. And at the moment, I would say that this app is your best option for Raw processing if you shoot with the Olympus OM-D E-M1.